If It's Hip, It's Here (Archives): BeoSound 8. 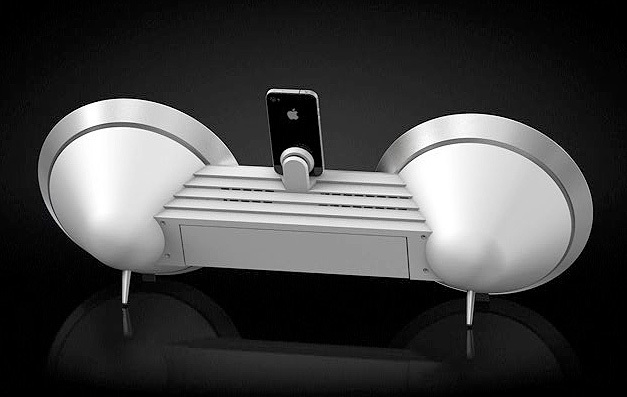 A Colorful & Cool Docking Station For iPhone, iPod and iPad. BeoSound 8. A Colorful & Cool Docking Station For iPhone, iPod and iPad. BeoSound 8 is a new product from high-end audio favorite Bang & Olufsen. A powerful, essential speaker dock that unfolds your digital music collection taking the experience to a completely new level, conveniently and seamlessly. The BeoSound 8 defies industry standards as it features a distinct two dimensional design, bold form, and a superior sound quality due to its custom-made conical speakers and high-performance amplifiers. It is also one of the few docking stations on the market that is directly compatible with the iPad, without having to utilize any extra wires or adapters, ensuring a clean, minimalist design. Move BeoSound 8 from room to room or hang it on a wall. All you need is a power outlet, your music player of choice, and a desire for real sound quality. Secure your iPad, iPhone, or iPod firmly in the adjustable holder and prepare for a surprise. 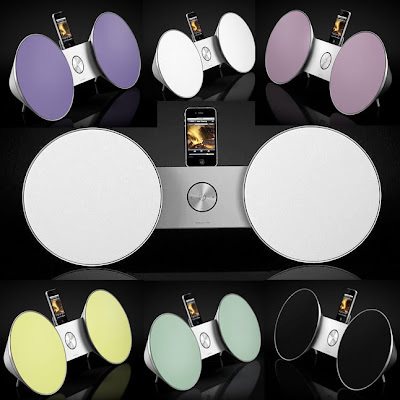 The sleek speaker design gives little clue about the fidelity and depth of the sound that is about to come your way. The conical shape of the speakers on BeoSound 8 has two functions. Design-wise, the shapes ‘disappear’ to create an unobtrusive impression from most viewing angles and make placement easier. In terms of audio quality, they eliminate standing waves by avoiding parallel surfaces. It may sound very technical, but you’ll find that the proof is in the experience. Playing music from your own phone, computer, or media player gives you the advantage of a familiar navigation environment. In addition, you can now download an app version of the sleek and stylish BeoPlayer for your docked iPad, iPhone, or iPod. 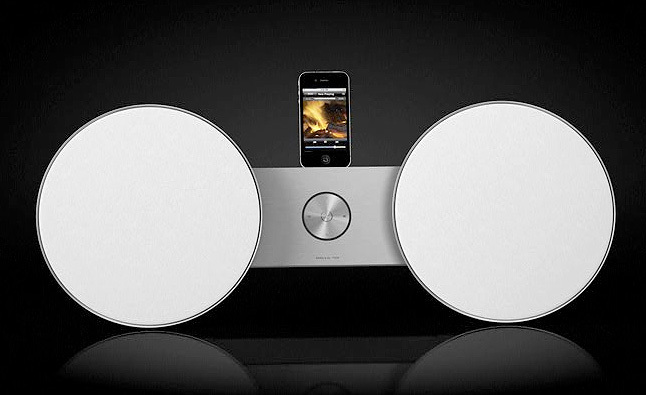 You can also adjust sound levels and skip tracks quickly and conveniently on BeoSound 8 itself. Music on a docked or USB linked device can be controlled via the dedicated round remote control or of course your existing Beo4 or Beo5 remote controls if you already own other Bang & Olufsen equipment. To match your personal taste and the room you place it in, BeoSound 8 comes in either black or white with aluminium details and matching power cord. When you feel the need to add a splash of colour to the room, the list of options includes six fabric speaker covers in lavender blue, purple, green, yellow, black and white. Dimensions: 26" x 9.4" x 6.5"